I’m glad to hear that the Domino Decorating Winner actually did all the decorating on her own and didn’t hire a designer. 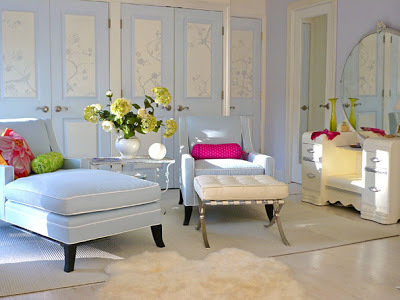 This room looks fabulous! The owner painted and stenciled the door panels and her bed, completely renovated the vanity and made and painted silk organza curtains. I guess too much paint can’t do too much harm. The post Decorating Winner appeared first on Darling Darleen | A Lifestyle Design Blog .